President Donald Trump is likely to replace his chief of staff, John Kelly, in the coming days, senior sources told ABC News. The leading candidate to take over would be Nick Ayers, who currently serves as Vice President Mike Pence’s chief of staff, according to sources. Nick Ayers (L), chief of staff to Vice President Mike Pence, and White House Chief of Staff John Kelly look on as President Donald Trump holds a cabinet meeting at the White House in Washington, May 9, 2018. Kelly has offered to resign previously, though sources believe this time it might actually happen. Kelly’s expected departure, long-rumored around Washington, would represent yet another dramatic shift in power dynamics and management style inside a notoriously tumultuous West Wing. White House Chief of Staff John Kelly is seen before the 2018 White House business session with governors in the State Dining Room of the White House, Feb. 26, 2018, in Washington. At a separate meeting with Cabinet-level communications staff at the time, a senior administration official said Kelly voiced his intention to stay on in the role for far longer — through 2024 — should the president be elected to a second term. But the president, increasingly exerting direct control of West Wing operations, has marginalized Kelly’s role and influence. 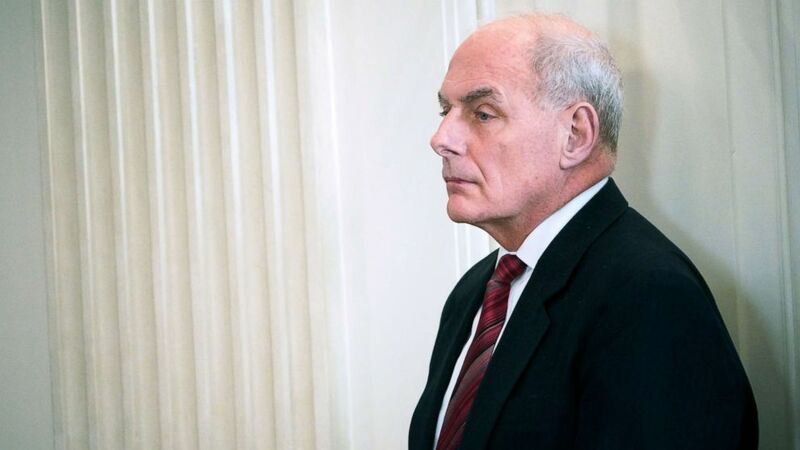 Kelly has also chafed at the president’s private disparagement of one of his closest allies and confidantes, Homeland Security Secretary Kirstjen Nielsen. Ayers, 35, is seen by Trump and his closest allies as a loyalist and prominent advocate for the administration’s policies and political efforts. And Ayers’ role as the right-hand man to Pence over the past year has put him in close proximity to some of the moments of the Trump presidency. Kelly would depart after 17 months on the job. He was appointed by Trump to replace Reince Priebus in July 2017 in an effort to impose order, discipline and workflow on a chaotic inner circle that had grown unwieldy. President Donald Trump is joined by Homeland Security Secretary John Kelly (R) during a visit to the Department of Homeland Security, Jan. 25, 2017 in Washington, D.C. Insiders say his tenure would be remembered for stabilizing the ship and steering the presidency through historic times, from a summit with North Korea to contentious trade disputes with allies to legislative battles over health care and tax cuts.